Erno Rubik, a professor of architecture in Budapest and creator of the Rubik’s Cube, once said “if you are curious, you’ll find the puzzles around you. If you are determined, you will solve them.” At Monograms we couldn’t agree more, which is why we set out to solve the puzzle of making travel easy. And that’s why Monograms has included Budapest, Vienna, & Prague on this 10-day vacation.Like pieces to a puzzle, we want things to be simple for you, so we’ve arranged your hotel reservations, sightseeing in each city, transportation between the cities as well as transfers to/from the train stations, and daily breakfast. But that’s not all...we’ve also arranged for you to have a Local Host® in each city, an insider who will help you navigate the city, answer questions, give suggestions, and help your vacation run smoothly. This vacation package to Budapest, Vienna, & Prague includes rides on two high-speed trains—a fun experience itself—plus limitless experiences in three of Central Europe’s most fascinating cities. Üdvözöljük—welcome! Your Local Host is on hand to help you maximize your time in the capital of Hungary. Morning guided sightseeing includes impressive HEROES’ SQUARE with the Millennium Monument, built in 1896, at its center. Behind the monument is a semicircular colonnade with statues of famous men who made their marks on Hungary. Statues atop the colonnade symbolize Labor & Wealth, Knowledge & Glory, War, and Peace. Also take a drive up to the Castle District with Matthias Coronation Church, Fishermen’s Bastion, and magnificent panoramas of the city and Danube River. Your Local Host can recommend how best to spend your day at leisure. Journey by HIGH-SPEED TRAIN (first class) to Vienna. During your morning guided sightseeing, visit splendid SCHÖNBRUNN PALACE, former summer residence of the Habsburg Dynasty. See famous landmarks along the Ringstrasse, including Heldenplatz with nearby Hofburg Palace, the National Theater, the State Opera House, Parliament, City Hall, renowned museums, and the Strauss Monument—a gilded tribute to the great composer. Your Local Host will have many suggestions for your day in Austria’s “City of Music,” like the best places to sample Wienerschnitzel and where to shop for Mozartkugeln, a chocolate and marzipan treat. Travel by HIGH-SPEED TRAIN (first class) to Prague. Morning guided sightseeing includes views of 1,000-year-old Hradcany Castle and a walk in the CASTLE COURTYARDS. See STAROMESTSKE SQUARE, which dates back to the 12th century and started life as the central marketplace for the city. It is surrounded by historic buildings, beautiful churches, and the Astronomical Clock on the Old Town Hall tower. Also admire Prague’s famous Charles Bridge, a masterpiece of engineering and one of the oldest stone bridges in Europe. With a full day at leisure to enjoy the “Golden City,” consider ideas from your Local Host such as a visit to the Strahov Monastery and Library. The Courtyard by Marriott Budapest City Center is housed in a building that is a combination of contemporary and traditional styles with a beautifully restored historic facade. The hotel features 234 spacious guest rooms and 7 meeting rooms for functions and events. All Budapest attractions are within easy reach on foot or by Budapest transportation just meters from the hotel. Centrally located with the Vienna State Opera, the Belvedere Palace, the City Park and designer shops on Karntner Strasse all within easy walking distance. The Art-nouveau inspired guestrooms all have a touch of Gustav Klimt and feature coffee/tea-making facilities, complimentary mineral water on arrival and designer toiletries. A 214-room stylish property, perfectly located opposite the Florenc underground Metro station. Free Wi-Fi access is available in all guestrooms and public areas of the hotel. There is an on-site gym, casual restaurant, stylish bar and all day coffee shop. The famous Wenceslas square and Old Town square are just 2 stops or a short walk away. The Palladium Shopping Centre, the largest in the Czech Republic, is within easy walking distance from the hotel and local produce can be found at the nearby Havelske Trziste open market. The modern guestrooms are spacious and offer complimentary coffee/tea-making facilities. This modern 364 room property enjoys a prime downtown location and offers convenience blended with style. Free Wi-Fi access is available in the lobby and the hotel has a fitness center with sauna and Jacuzzi. The trendy Mediterranean Grill restaurant serves tasty Hungarian dishes and the stylish lounge bar offers tapas style food and cocktails. 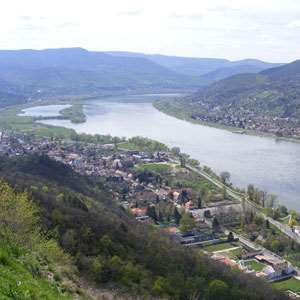 Set on the banks of the Danube River in the heart of this enchanting city. 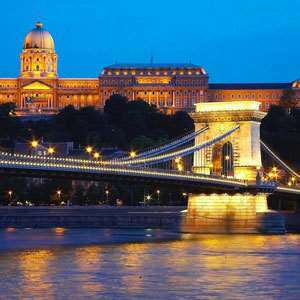 The famous Chain Bridge, Saint Stephen's Basilica and historical Castle District are all within walking distance and the surrounding area has many shops and restaurants. The sophisticated guestrooms all have a fabulous view of the Danube River, coffee/tea making facilities and iron & ironing board. A modern 579 room property offering comfortable luxury. Free Wi-Fi access is available in the lobby and access in guestrooms is subject to a fee (payable locally). Leisure facilities include a well-equipped gym with sauna and steambath, a contemporary style restaurant with a terrace for al fresco dining during the summer months and a lobby bar & lounge. A downtown city center location adjacent to Vienna's City Park, home to the famous Johann Strauss monument with good transportation links and just a short walk away from the medieval heart of the inner city with St. Stephen's Cathedral, boutiques and famous Viennese coffee houses. The modern spacious guestrooms have tea/coffee making facilities and iron & ironing board for added convenience. A stunning 106-room boutique hotel set in an historic townhouse that dates back to 1889, perfectly located on a quiet street in the heart of Prague's Old Town. Modern Czech cuisine is served in a trendy bistro style setting with an open plan kitchen. For relaxation and connectivity, there is a 24-hour fitness studio, sauna, and free Wi-Fi internet access is available throughout the property. The hotel is ideally located on a quiet street of the Prague Old Town, only a few steps from all important shopping and sightseeing attractions. Close to Old Town Square and Charles Bridge with many stylish shops and bars in the surrounding area. Sumptuous air-conditioned guestrooms combine contemporary style with chic accessories including Swarovski elements and feature interactive smart TVs, coffee/tea-making facilities, bathrobes with slippers and iron & ironing board. 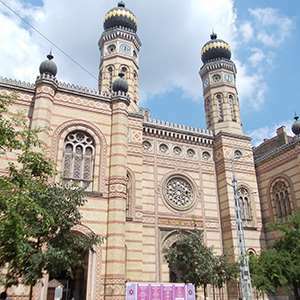 Immerse yourself in the rich cultural heritage of Eastern Europe's largest Jewish community on this captivating guided tour through Budapest's former Jewish ghetto. 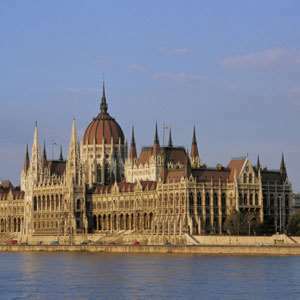 Discover one of Europe's premier landmarks on this behind-the-scenes guided tour of Budapest's epic Hungarian Parliament Building. Enjoy the sights, bites, and lights of Budapest on this incredible evening featuring a 3-course dinner with wine, folklore entertainment, and an illumination tour of the city's main landmarks! 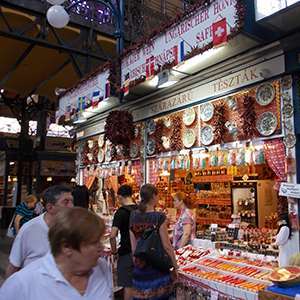 Explore Budapest the way you want on this private guided sightseeing tour. Just decide what you want to see and do with your expert guide-the choice is yours! Travel into the beautiful Hungarian countryside for an enriching half-day discovery of the Etyek wine region, including a visit to a family winery with wine tasting. Enjoy a sight-packed excursion to Visegrád, Esztergom, and Szentendre along the scenic Danube Bend, where Europe's second-longest river meets the surrounding mountains. 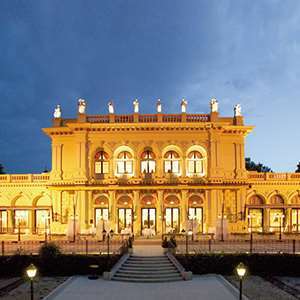 Visit lavish Gödöllo Palace, favorite residence of Emperor Franz Josef and Empress Sisi during the Austro-Hungarian Empire, on this guided excursion fit for royalty! 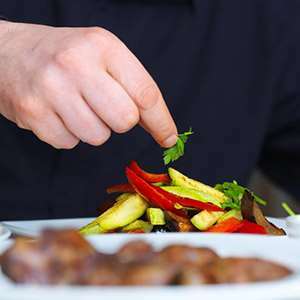 Learn to prepare authentic dishes from a real Hungarian chef at this fun and interactive cooking class! 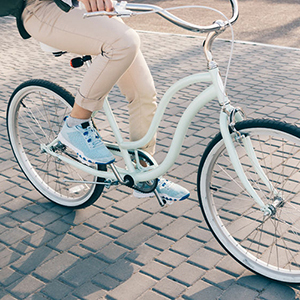 From monumental cathedrals and castles to elegant shopping streets and historic squares, this exciting guided bike tour shows you the best of Budapest's people, places, and culture! 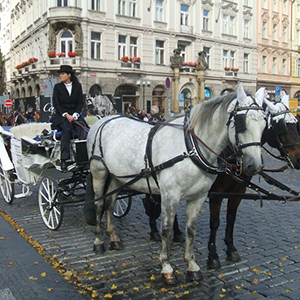 Don't miss this incredible celebratory evening featuring a horse-drawn Fiaker carriage ride, and a delectable dinner of traditional Viennese fare at the historic Café Landtmann. Experience Vienna's main attractions the easy way on this fun and flexible hop-on/hop-off city sightseeing tour. Explore Vienna the way you want on this private guided sightseeing tour. Just decide what you want to see and do with your expert guide-the choice is yours! 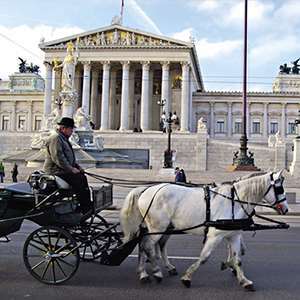 Walk in the footsteps of the Habsburgs on this fascinating walking tour featuring Hofburg Palace, Spanish Riding School, St. Stephan's Cathedral, the Kohlmarkt, Vienna State Opera, and more! 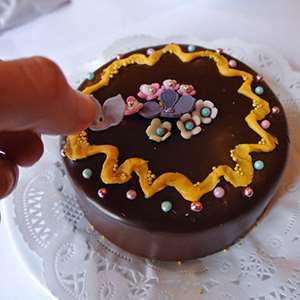 Become an expert cake-decorator at this private workshop that teaches you the fine art of decorating an original Sachertorte! 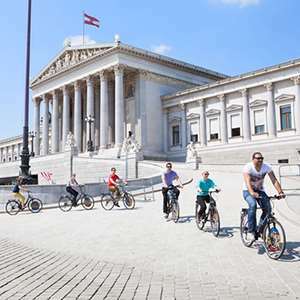 It took the Habsburgs more than 600 years to construct the wonders of Vienna-but you'll discover them in just 3 hours on this enjoyable guided bike tour! 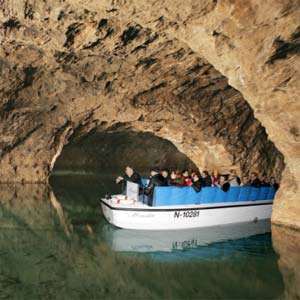 Nature is front and center on this inspiring half-day guided tour to the Vienna Woods, Mayerling royal hunting lodge, and Seegrotte for a magical cruise across the subterranean cave lake! Discover one of Austria's most stunning regions-the famed Wachau Valley-on this full-day guided excursion featuring a delightful Danube River cruise and a visit to baroque Melk Abbey. Step off the beaten path to discover the beauty and allure of Bratislava during this enriching day trip to the charming Slovakian capital. A complete culinary adventure awaits in Vienna. Join an expert chef to stroll around the Naschmarkt, taste some typical delights, buy the fresh ingredients, and prepare a traditional Viennese meal. Then, afterward, relax and savor the delicious results! See nature and architecture at their inspirational best on this day trip featuring the breathtaking Salzkammergut region and the wonders of Sound of Music Salzburg, birthplace of Mozart! When the sun goes down on the Golden City, this thrilling walking tour reveals its deepest, darkest, spine-tingling secrets. Enjoy a relaxing dinner aboard a beautiful floating restaurant for an unforgettable dining and cruising experience on Prague's majestic Vltava River. Discover the magic of Prague at night during this delightful guided walking tour featuring the city's most famous icons and monuments-all lit up and dressed to impress! Get a unique water-level perspective of the Golden City during this hour-long sightseeing cruise along Prague's scenic Vltava River. 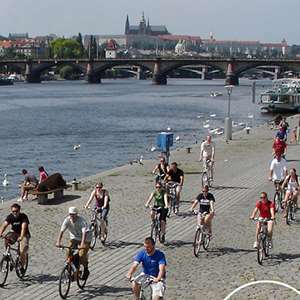 Pedal your way past some of Prague's exceptional monuments and architecture on this fun guided eBike tour that includes a Czech beer at one of the city's best beer gardens! Discover the Golden City of Prague through its food! This delightful guided foodie walking tour includes a whole host of tastings of authentic Czech foods and drinks. 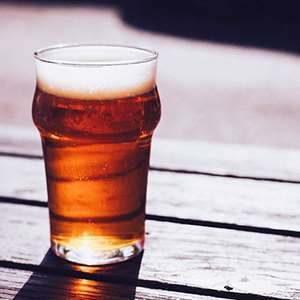 Venture beyond the traditional pilsner on this exciting guided introduction to some of Prague's most delicious beers! Explore Prague the way you want on this private guided sightseeing tour. Just decide what you want to see and do with your expert guide-the choice is yours! Don't miss this incredible celebratory evening featuring a horse-drawn carriage ride and delightful dinner cruise past the city's illuminated landmarks. 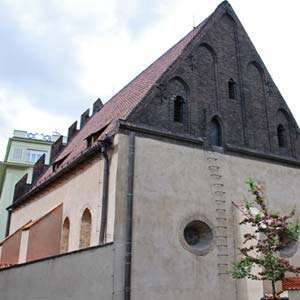 Discover a thousand years of Jewish tradition, culture, and history on this captivating guided walking tour through Prague's vibrant Jewish quarter. Monograms provides travelers access to a Local Host®, so you will have someone on hand to answer those vacation questions pertaining to Budapest. No waiting in line at the concierge desk or trying to ask your waitress at breakfast directions to the shopping district. Simply ask your Local Host® about Budapest and you'll be on your way in no time. Plus, your Local Host will share local Budapest insights and share suggestions for getting off the beaten path, leaving you more time to create lasting vacation memories that are yours alone. Hello, my name is Edina and I look forward with pleasure to welcoming you to Budapest, my home town, and helping you get acquainted with the city. After studying languages, I continued my career in tourism and personally love traveling too. Budapest is a vibrant city today. It is great to meet Monograms guests and help them make the most of their time, with such a wide choice of splendid places to see and enjoy. Ask your Local Host for suggestions of walking routes around the city to see the historic center and the Belle Epoque buildings, many already restored to their former splendor. Visit the House of Terror museum for a trip into Hungary’s dark past. It contains exhibits related to the fascist and communist dictatorial regimes in 20th-century and is also a memorial to the victims of these regimes, including those detained, interrogated, tortured or killed in the building. 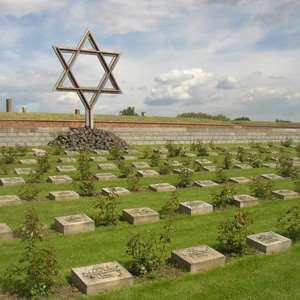 Visit the World’s second largest synagogue and the adjacent museum with its moving memorial to the Hungarian Holocaust. Guided visits are available, check with your Local Host. See this historical exhibition, at the edge of the city, displaying statues of the communist era: Lenin, Marx, Engels, Dimitrov, soldiers of the Red Army and other communist memorabilia. Plant enthusiasts will love the Budapest Botanical Gardens which nurtures over 7’000 plants and has fine displays in the magnificent Palm House. The adjacent zoo will keep children happy for hours. A scientific playground for kids and adults! A unique science center, located outside the city, with more than 100 hands-on exhibits, mind-blowing science shows, plus a café, and gift shop. Your local host has details on how to get there. For railway enthusiasts of all ages, visit the Hungarian Railway Museum to marvel at locomotives in all shapes and sizes; see and experience a railway turntable in action, the machine twisting and turning to finally place locomotives on the right tracks. Take the Children’s Railway for a fun way to explore the Buda Hills. It is managed by young staff under the supervision of adult railway workers. Ask your Local Host for details. Budapest is proud of possessing one of the most beautiful opera houses in the world. The opening performance was held in 1884 after nine years of construction. Ask your Local Host about daily visits of this venue. Please note: The Opera House is under construction at the moment, therefore during a guided tour you will still see the decorated staircase and the buffet area and instead of a visiting the auditorium, a mini concert and a free ticket for taking photographs will be included. Take a walk on St. Margaret’s Island, a peaceful hideaway from hectic downtown Budapest with large green areas, flowery gardens, old trees, and lots of entertainment. It is a pleasure, especially during the summer heat, to enjoy the cooler air of the island. It is 2.5 km/1.55 miles long and 500 m/0.31 miles wide and stretches between Árpád Bridge and Margit Bridge in the embrace of the Danube. Stroll along the Danube Promenade (Dunakorzó) which extends between the Elizabeth Bridge and the Chain Bridge in Pest along the banks of the Danube. This location has always been popular for promenading, especially in the 19th century. Ask your Local Host about the best places to enjoy the thermal baths, some originally built by the Turks, for some relaxing and rejuvenating moments; or to see the natural spectacle of steam rising in the park. Located within City Park, the Municipal Circus (Fovárosi Nagycirkusz) traces its origins back to 1783. This is a traditional circus, with clowns, animals, jugglers, acrobats - - great for all ages. See Gerbeaud’s rich selection of cakes; founded by Henrik Kugler in 1858, its next owner, Emile Gerbeaud from Switzerland, made it world famous with his inventions, the macskanyelv (‘cat’s tongue’) and cherry cognac. Café Central has the privileged atmosphere of the traditional, great cafés, with modern gastronomy and confectionery. Dig in to a bowl of hearty goulash, Jókai bean soup, or Fisherman's soup. Pörkölts and paprikás are the most popular meat dishes; Pörkölt is a ragout made from pork, beef or mutton or chicken with onions and Hungarian paprika powder as the main spice. Paprikás is similar but sour cream is mixed in the red paprika and onion sauce to add a nice creamy texture to the meal. 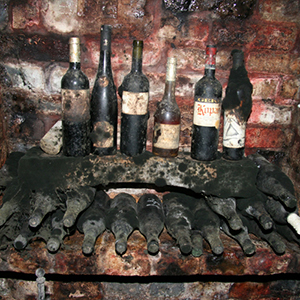 Try the legendary red wine Egri Bikavér (Bulls Blood) and the white dessert wine Tokaji. The symbol of Hungary's cuisine, paprika is added to countless dishes in Hungary from soups to sauces and stews. In some parts of the country it's used as a filling in a sweet pastry. Be sure to sample the famous 5-layer cake invented by Joseph Dobos. 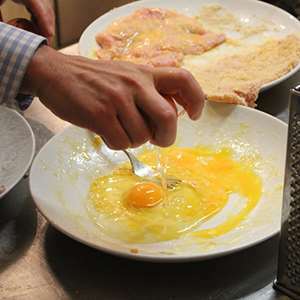 Legend has it that his assistant added salt to the butter cream instead of sugar, accidentally creating a masterpiece. Dobos presented the cake for the first time in 1885 at the General National Exhibition and Empress Elisabeth and Franz Joseph I were the first to taste it. Váci utca (Váci street) is one of the main pedestrian thoroughfares and perhaps the most famous street of central Budapest, with exclusive boutiques, restaurants, cafés, and inspiring architecture. The street starts from Vörösmarty Square and ends opposite the Central Market Hall at the Pest end of Liberty Bridge. Souvenirs such as paprika and Tokaji are popular, as well as folk art, porcelain, embroidered felt and linen. Monograms provides travelers access to a Local Host®, so you will have someone on hand to answer those vacation questions pertaining to Vienna, Austria and learn about fun, insider things to see and do while in Vienna. No waiting in line at the concierge desk or trying to ask your waitress at breakfast directions to the shopping district. Simply ask your Local Host® about Vienna and you'll be on your way in no time. Plus, your Local Host® will share local Vienna insights and share suggestions for getting off the beaten path, leaving you more time to create lasting vacation memories that are yours alone. Hello, my name is Annie. 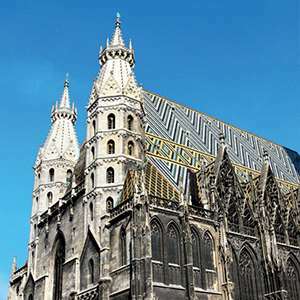 Vienna has a very long and interesting history, and is known as one of the cultural centers of Europe. I look forward to welcoming Monograms guests to my hometown and sharing my knowledge of this beautiful city. At Lower Belvedere, the exhibition “Klimt is not the end. Awakening in Central Europe” shows 80 works by artists including Klimt, Schiele, Kokoschka, Moser and Egger-Lienz. Walk up to the Upper Belvedere for splendid views over Vienna and/or visit its museum and see the beautiful painting “the Kiss” by Gustav Klimt. A must if you are in Vienna!!! Thanks to the acquisitions by and the patronage of the House of Habsburg, the Museum of Fine Arts has an unrivaled collection of old masters, including a vast selection of works by Pieter Bruegel the Elder. And until Sep 2nd, the "Klimt bridge" will again be installed in the stairway of the Kunsthistorisches Museum Vienna. At a height of 40 ft, visitors have a direct view of, among others, the picture cycle of 13 paintings designed by Klimt, which was created between the pillars and arcades. These so-called spandrel and intercolumnar paintings are among the most important of Gustav Klimt's early works. Make your own analysis of the famed psychological pioneer in the building where he lived and worked for nearly 50 years. See Freud's personal possessions as well as the largest psycho-analysis library in Europe. Ask your Local Host about a walking route to discover the fascinating older parts of Vienna´s historic city center with its legends and paths or the Imperial Route to see classic architecture, elegant boulevards, the Hofburg Palace and other memorable sites. Visit the Imperial Crypt for a fascinating glimpse into the past. 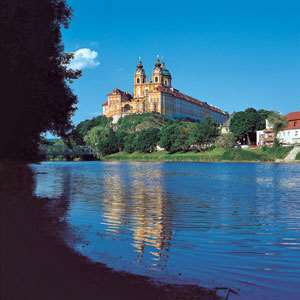 It is located beneath the Capuchin Church and members of Austria’s former Habsburg dynasty have been entombed there since 1633. Equestrian buffs will find this Viennese institution irresistible. Founded in 1572, it's the oldest and last riding school in the world where classic dressage is still practiced in its purest form. See world-famous Lipizzaner stallions go through their steps. What better place than Vienna to walk the halls of music and peek into its future. Listen to what an unborn child hears in the womb, paint a picture with a palette of tones, or steer a note through a musical landscape. A Viennese institution in the city center, this colorful market dates back to the 16th century. There are small restaurants and cafés nearby for lunch and dinner. Visit one of the traditional Viennese “Heurigen” (wine taverns) located in the north of the city, right where the slopes of the Vienna Woods end and the vineyards begin. Enjoy top Viennese wines and delicious food. Ask your Local Host for the most typical taverns - one is still housed inside a former residence of Beethoven. Sample the classic Wiener Schnitzel or Tafelspitz, and try apricot Schnaps. Treat yourself to Apfelstrudel, coffee and chocolate cake, or other sweet delicacies in the grand and traditional Viennese coffee houses. Walk along the Kärntnerstrasse and/or Mariahilferstrasse, shop for concert music DVDs, crystal glass, enamel jewelry or ornaments, wool lodenware, Viennese wafer biscuits, and Mozart chocolate. 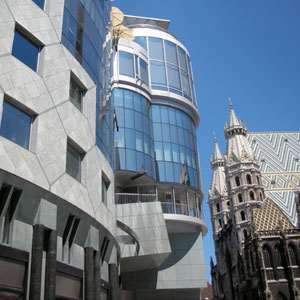 Located in Vienna´s 9th district, a few blocks away from Sigmund Freund Museum, you find the so called Servitenviertel. The heart of the “Viertel” are Servitengasse and Servitenplatz - a cosy and neat little churchsquare with benches and huge trees. Enjoy village feeling with a mixture of pubs, restaurants, coffeebars, visit a chocolate manufactory or shop at tiny stores for flowers, toys, gifts, books, fashion, vintage and more. The heart of the Prater amusement park with more than 250 attractions is the Giant Ferris Wheel which, by taking a ride, offers a breathtaking view of the city. Another highlight is the world-famous waxworks museum Madame Tussauds with over 80 wax figures – among them Austrian and historic personalities and also international celebrities. Well known and loved by Viennese is the traditional inn “Schweizerhaus” with a huge beer garden and famous for its trademark, the roasted pork leg. Next to the amusement park the Green Prater is a paradise for walkers, runners, bicyclists and horseback riders, and is highly appreciated as a large leisure area within the city limits. Monograms provides travelers access to a Local Host®, so you will have someone on hand to answer those vacation questions pertaining to Prague and learn about fun, insider things to see and do while in Prague. No waiting in line at the concierge desk or trying to ask your waitress at breakfast directions to the shopping district. Simply ask your Local Host® about Prague and you'll be on your way in no time. Plus, your Local Host® will share local Prague insights and share suggestions for getting off the beaten path, leaving you more time to create lasting vacation memories that are yours alone. My name is Richard, and I was born in Prague. I am keen on European medieval history and began my career working in the medieval section of Prague's metropolitan museum. Being a Local Host allows me to share my love of Prague’s beauty with Monograms’ guests, and I enjoy helping them get to know my city according to their individual interests. The historic center of Prague, built between the 9th and 19th centuries, is a UNESCO World Heritage Site. The Old Town, the Lesser Town and the New Town speak of the great architectural and cultural influence enjoyed by this city since the Middle Ages. 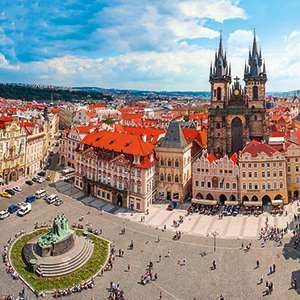 See the many magnificent monuments, including Hradcany Castle, St Vitus Cathedral, Charles Bridge and numerous churches and palaces, built mostly in the 14th century during the reign of the Holy Roman Emperor, Charles IV. Ask your Local Host for more information. The Hussites were a Christian movement following the teachings of Czech reformer Jan Hus (c. 1369–1415), who became one of the forerunners of the European Reformation. The massive Jan Hus Monument, completed in 1915 on the occasion of the 500th anniversary of his death, dominates the Old Town square. Ask your Local Host about a walking route related to the 15th century Hussite wars. Enrich your trip to this historic city with a visit to one of its beautiful churches or cathedrals and enjoy a classical concert while there. Your Local Host will have more details. Lapidárium contains priceless original sculptures collected from their former locations throughout Prague - from the 11th-19th century - including original statues from the Charles Bridge. Artbanka Museum of Young Art (AMoYA) opened in June 2011and presents its vision to the public by offering a very bold program in the unique atmosphere of a Baroque palace where visitors can familiarize themselves with the world of contemporary Czech and international art. Prague Public Transport Museum (Muzeum mestské hromadné dopravy v Praze) houses a unique collection of exhibits illustrating the history of public transport in Prague, including over 40 historical vehicles and many other exhibits. Mucha Museum (Muchovo muzeum) is dedicated to the life and work of Alphonse Mucha, a Czech-French art nouveau painter. It has over 100 exhibits including paintings, photographs, charcoal drawings, pastels, lithographs and personal memorabilia. Ask your Local Host for more information about museums and galleries to suit your interests. Before the Age of Enlightenment, monasteries carefully guarded their treasures. Now visitors are may stroll the halls and marvel at the contributions of history's greatest minds. Catch the breathtaking view of the city from the monastery garden. Enjoy this classic art nouveau mall boasting wonderful shops, theaters, and cafés. Check out the sculpture Wenceslas Riding an Upside Down Horse. Classic Czech souvenirs include Bohemia crystal, Spa Wafers, porcelain with Blue Onion Pattern, Bohemian garnet, beads from Jablonec, classical music CDs, and Czech marionettes. Local dishes to try include beef sirloin with cream sauce and dumplings, roast pork/duck/goose meat with red or white cabbage and dumplings, as well as Czech beer and the special Becherovka (herbal liquor) or Slivovice (plum brandy). From traditional beer halls with accordion players to sleek modern dance clubs, Prague nightlife is all encompassing. Ask your Local Host for more information.